Babaà x Bobo, just the name alone is pretty fun to say. Yep, that’s right, all of you lovers of cult-followed indie kid brands! 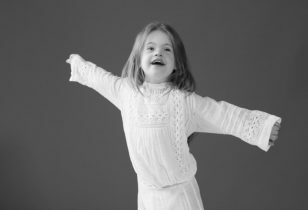 Two of the buzziest brands coming out of Spain, Bobo Choses and Babaà Knitwear, have joined forces for an extra-covetable mommy-and-me sweater set, now available online. 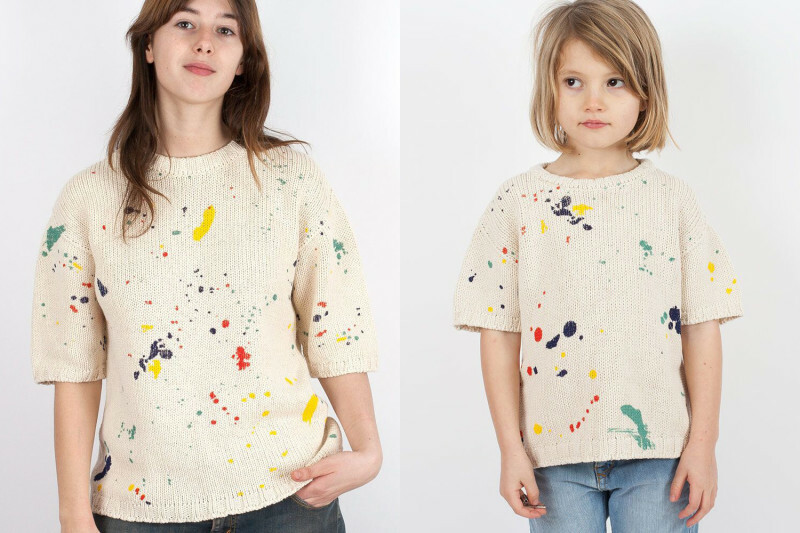 Made of a cream-colored 100% organic cotton that was compiled, spun, and dyed by Spanish artisans, the two short-sleeved jumpers feature Bobo’s paint-splattered “Pollock” print that will have all mothers who lived through the nineties indulging in a little nostalgia. The Babaà x Bobo children’s sweater is priced at $93 and the matching mama version for $154. Interested? You can scoop up the limited-edition fruits of their labor right here.